The Examiner Can't Wait For JWoww's Perfect Tan Bikini! Our favorite teddy bear has done it again! Ugly Ted has received glowing reviews from Kiddies Korner and Makobi Scribe. 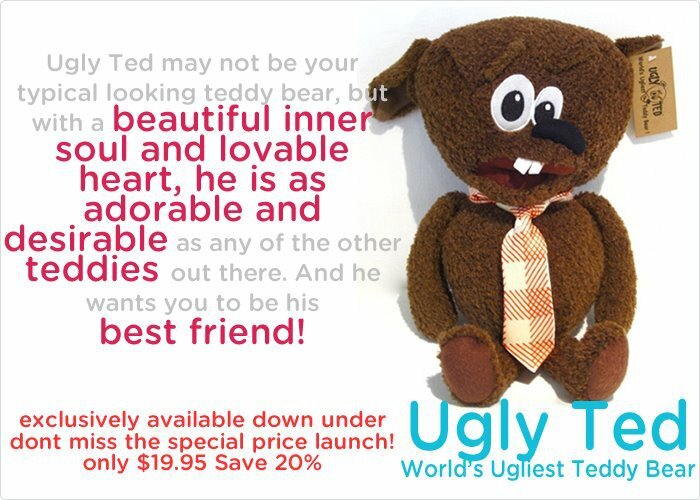 When you purchase Ugly Ted a portion of proceeds supports various charities across the nation that helps fight bullying, cyber-bullying, child abuse and more. Such charities include Dreamcatchers for Abused Children and the Megan Meier Foundation. Here is a very sweet video made about “beautiful” Ugly Ted. Enjoy! Ugly Ted Goes Global~Now Available In Australia! Founder of the Ugly Ted and EKC client Mark Little, are proud to announce Ugly Ted’s international visit down under! The “World’s Ugliest Teddy Bear” is now available for sale in Australia! Anti-bullying advocate and supporter of today’s youth, Ugly Ted donates a portion of its proceeds to many different charities that share the same values and beliefs regarding anti-bullying. Aussies can purchase their own Ugly Ted at http://www.parentslikeus.com.au/ugly-ted.html. Don’t miss out! Buy the teddy bear that promotes the positive message that emphasizes inner beauty. The wait is almost over! Only one more day until Kyle's debut on the series premiere of the Girl's Guide To Depravity! Tune in this Friday at 11PM to see if Kyle is a heartthrob or heartbreaker! Here is a sneak look at Kyle's character, Drew. EKC'S PR Team Welcomes Vince Offer & Schticky! Clean your home in a quicky with Schticky! 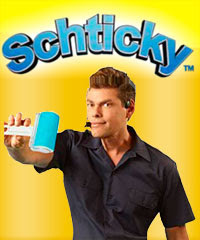 Eileen Koch & Company, INC. and her PR team are delighted to be representing TV personality Vince Offer and his newest innovation, the Schticky! Schticky is a reusable silicone roller that removes lint, pet hair and human hair from clothing and other fabrics. It will be available to retailers this spring. For more information on the Schticky visit (www.Schticky.com). Lighting Guru and founder of Studio Lux, Christopher Thompson, has been featured in the Luxe Interiors + Design Magazine! The prominent luxury and architectural design magazine covered his brilliant lighting design on a house in Lake Washington. His creative talent illuminated and heightened the design set forth by other leading architects, earning him recognition in Luxe Interiors + Design Magazine. Take a look at his fabulous work! Numerologist Donetta Huffman Featured On Yahoo! 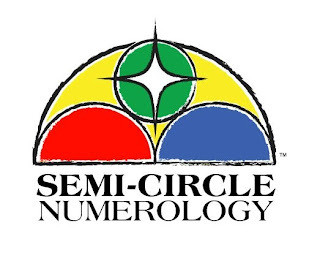 Visit http://www.semicirclenumerology.com/products/numerology-cards.html to purchase her one of a kind numerology cards to do your OWN readings!! We are very saddened to hear of the loss of music legend, Whitney Houston. Publicist Eileen Koch extends her deepest sympathy to Whitney's family. "Having met Whitney years ago was one of the highlights of my career." Whitney Houston was a true talent and inspiration to the music industry. Although she is no longer with us, her amazing voice will live on forever. EKC client Donetta Huffman weighs in on celebrity couples' relationships just in time for Valentine's Day! The respected numerologist was featured on Cupid’s Pulse, where she uses her expertise in numerology to analyze Hollywood's most perfect partners and love disasters. Take a look at this article to see Donetta’s findings and how numerology ranks your relationship. Valentine’s Day Love Advice: Does Your Relationship Add Up? Finding out if you and your sweetheart are meant to be is sometimes a gut feeling, judged by your relationship’s strengths and flaws. However, many couples (more often women) seek clarity by visiting psychics and astrologers. Whether for fun or to validate some serious decision-making about the fate of a relationship, these ‘supernatural’ predicting methods are a trend for young women looking for advice. If you’re a numbers gal, numerology may be the thing that you crave. First, take the birthday of your boyfriend, husband, fling or love crush and add the numbers together one-by-one. For example, Justin Timberlake was born on: 1-31-1981. So add 1+3+1+1+9+8+1. The sum that you get should be double digits. In this example we get the number 24. Now add those two numbers together to get the single digit Life Path for that person. In this case, Justin’s Life Path number is 2+4= 6. This number has a meaning that numerology specialists use to decode relationships. These two have very compatible numbers, Justin is a 6 and Jessica an 8. Both are goal-oriented and do not shy away from responsibilities. These two may pursue their goals in different ways, but as long as they play off of each other’s strengths, their relationship has a chance to last. In addition, Jessica has an 8 Soul and Personality and Justin has an 8 Destiny, so the couple feels like they understand one another on a deeper level. Jessica feels protected by Justin, with his nurturing 6 Life Path. They actually share numbers with an actress who eventually became a princess. Grace Kelly transformed into Princess Grace when she left Hollywood and married Prince Rainier of Monaco in 1956. This is still known as one of the greatest love stories of all time. This couple got off to a somewhat rocky start, as they were both married to other people when they met. LeAnn is a Life Path 2 and Eddie is a Life Path 6. Considered one of the most loving unions, this is a romantic combination, as both numbers love easily, without holding back. Neither number is afraid to show their true feelings. Also, with LeAnn’s 2 Life Path, she sees herself in Eddie’s 2 Personality. His 6 Life Path recognizes her 9 Soul, thus having a deep artistic connection. LeAnn and Eddie are in great company when it comes to lasting relationships. With the same number combinations, Hollywood icon Bob Hope and his wife Delores were married for 69 years, while Kelly Ripa and Mark Consuelos have it all – three lovely children and very busy, successful careers. Somewhat of a curious combination of numbers, with Angelina’s 5 Life Path and Brad’s 4 Life Path. This can sometimes be a challenging combination, as 4’s usually like routine, whereas 5’s love change and the unexpected, but that is where the initial attraction might have started. They are so different, but could have found admiration in these qualities. Angelina not only has a 6 Soul, but also a 6 Destiny – it is no wonder she keeps having and adopting children. 6’s are the maternal, paternal number. When she met Brad, she saw this in Brad’s 6 Personality. The qualities they show to the world are that of loving parents. With Angelina’s adventurous Life Path 5, life with her promises never to be boring! Originating from the most well-known Greek mathematical thinker, Pythagoras, Numerology predates Tarot, and is quickly becoming the biggest craze in self help. Semi-Circle Numerology cards can give people the ability to feel powerful in the realization that they have been sent here for a purpose and given many tools to accomplish life’s mission. For more information on Donetta Huffman and Numerology or to purchase one of her many services, visit www.semicirclenumerology.com. You thought you've seen Hollywood's hottest men...think again! EKC's own Kyle Knies will be heating up the silver screen this month! Kyle is starring in the new Cinemax hit, The Girl's Guide To Depravity. We were lucky enough catch a sneak peak of the show last night. Kyle gave us an behind the scenes look at the all steamy scenes, heated drama and juicy gossip, and let us tell you, this is one show you will not want to miss! Look out for Kyle Knies on the series premiere on Cinemax, on February 24th! EKC client and esteemed numerologist Donetta Huffman has been featured on Cupid’s Pulse, a relationship blog that investigates celebrity news to provide love advice for singles and couples. To find out how you can win a 45-minute personal reading from Donetta visit http://www.cupidspulse.com/valentines-day-giveaway-numerology-reading-donetta-huffman/#disqus_thread. Stay tuned as Cupid’s Pulse will also be revealing Donetta's compatibility analysis of Hollywood's hottest celebrity couples! We know who we're rooting for this season!!! 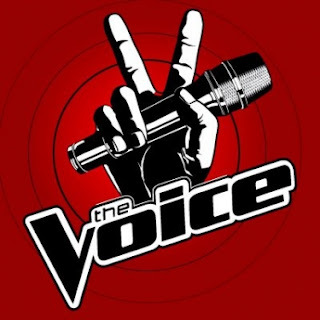 EKC is elated for Tony Lucca and his advancement on NBC's hit show 'The Voice'. Tony chose famed artist Adam Levine as his mentor and through our wonderful experience of working with Tony for many years, we are highly confident in his abilities to win the whole show! Watch out America, as Tony Lucca is here to stay! 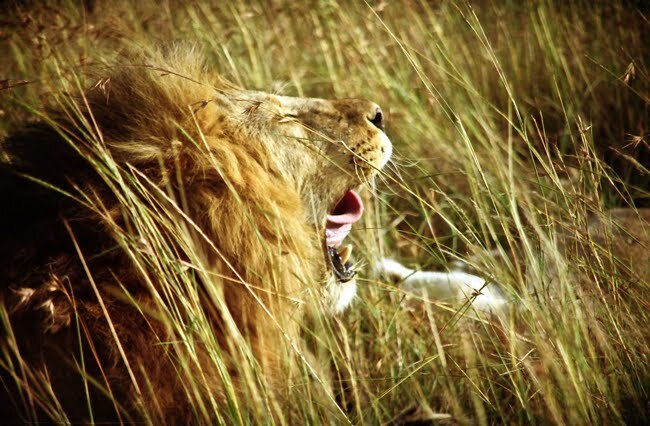 EKC client, Nadine Levin is proud to announce the debut of her wildlife collection! The seasoned photographer steps out from her cowboy western roots as she brilliantly showcases her love of nature in breathtaking shots of some of the world's rarest wild animals. 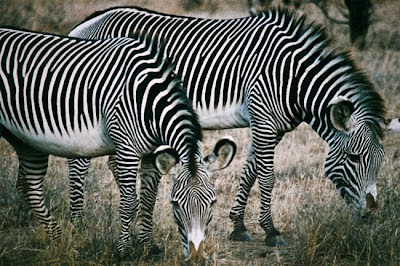 The collection is a compilation of images from her travels to Africa, islands of the Caribbean and the rainforests of Costa Rica. 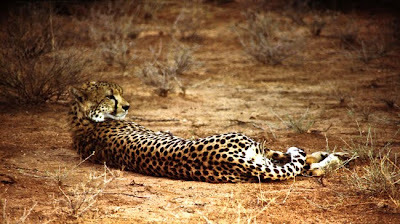 To see more images of Nadine's wildlife collection, please visit:http://www.nadinelevinphotography.com/.